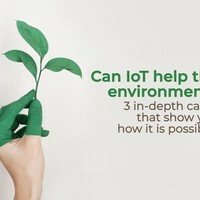 According to IoT Analytics published report, there are currently more connected things in the world than human beings alive on earth. There were more than 8.4 billion IOT devices active in 2017 and it is expected that it will rise to 20.4 billion by 2020. As you can see, Internet of Things (IOT) is expanding into every sector of the economy and we will show how IoT innovation affects all areas of business. BUT WHY IS THERE SUCH HUGE GROWTH? This is due to the availability of inexpensive technologies such as GPS locators, accelerometers, wirelessly connected sensors and actuators. Hence, everyday objects are increasingly becoming components of the emerging entity known as the Internet of Things. Any type of devices will be available: from smart thermostats in our homes, personal fitness bands on our wrists, tracking devices in vehicles to noise, efficiency and vibration sensors embedded in factory machinery. This is why we are covering IoT innovation as it is spreading and evolving extremely fast. In 2017, the total spending on IoT endpoints was estimated to be $2 trillion worldwide and North America, China and Western Europe contributing two-thirds of this expenditure. In this article we will discuss innovative IoT business cases such as: machine maintenance, airport monitoring, truckload monitoring, smart buildings and parking monitoring. Accelerometers use gravitational force measurements to determine the changes in speed and direction of a device over time. This can be used to count the number of times that it flips upside down, making it easy to count the number of rotations. For example, by monitoring the nature and frequency of the rotations in a printing press, the difference from the normal rotational speed and pattern would indicate that there is abnormal movements which need to be addressed. The maintenance team can then investigate and carry out the repair and maintenance process before restoring the machine. Also, once it is clear how many rotations the press can do before maintenance is required, maintenance scheduling can be done more efficiently. The accelerometer helps detect machine performance and alert the owners about the need of machine maintenance. So, SODAQ has created boards (SODAQ ONE, SODAQ SARA collection) that have accelerometers on-board that detect irregular movement. For instance, the board is placed on the machine to monitor the vibrations and changes in horizontal motion. Afterwards, the board detects mechanical problems when the horizontal movements are irregular and inconsistent, which alerts the owners when it’s important to check up the machine for any irregularities. As an example, we will use a random company with machine maintenance. Usually, supply chain focused companies producing products are always looking for new ways to improve the production process within the supply chain. 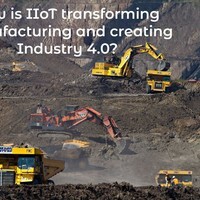 In this era where efficiency is greatly emphasized in the manufacturing sector, the use of IoT helps companies to save energy (by increasing efficiency), reduce the wear and tear effects of machines and improve the performance of the plant in general. Visualize this, replacing a machine that wears out takes approximately 6 weeks. 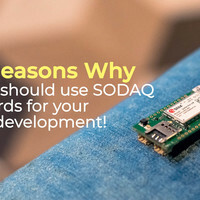 When using SODAQ boards, they notify the owners of machines about the upcoming replacement and so they can buy another machine in advance, hence saving themselves 6 weeks of waiting time (which can cause revenue problems due to a slow down of production). Now you can imagine how important this is in a huge factory with over 200 machines. 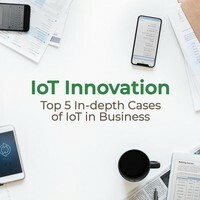 This just shows the beginning of IoT innovation in business, there are 4 more cases! To read and display the data from the accelerometer, a microcontroller and communication modules are required. Within indoors, it is possible to use Narrow-Band IoT network, but in large warehouses setting up a LoRa gateway would be more cost effective. It is very difficult to power the devices from an electric socket, this is why SODAQ boards can be attached with LiPo batteries that make this process far more efficient. WHAT IS A MAGNETO METER? A magnetometer is an instrument with a sensor that measures magnetic fields. Since magnetic flux density in air is directly proportional to magnetic field strength, a magnetometer is capable of detecting fluctuations in the Earth’s field. Materials that distort magnetic flux lines are known as magnetic, and include materials such as magnetite that possess magnetic fields of their own, as well as very high magnetic conductivity. Such materials create distortions in the Earth’s magnetic flux that is flowing around them and magnetometers are able to detect these distortions. BUT HOW DOES THIS WORK WITH CARS? Cars have strong magnetic fields due to the built in monitors and because it is built from material the affect the magnetic field (for example: if you have more metal stuff on the truck/car more “magnetic” field will go though your this body). So to monitor whether a car is in a parking spot, you only need to detect the change of magnetic fields with a magnetometer. Hence, whenever a car parks near a board with a magnetometer, the change in magnetic fields will alert the owner of the device that the space is occupied. Parking garages usually used either cameras, optical sensors or pressure to see if parking spots are available. 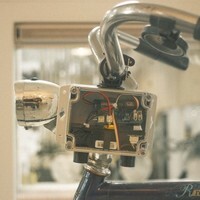 But there was a need of IoT devices to make a smart parking system. That’s why SODAQ has created boards (SODAQ ONE, SODAQ SARA collection) that have magnetometers attached to them to detect magnetic fields (the accelerometer and magnetometer are in the same chip). BUT HOW DO IOT DEVICES HELP WITH PARKING? IoT devices help to minimize the power consumption and cost of communicating the data by the parking owners. Moreover, the devices are small and can be embedded in the floor of the parking spot which makes it unnoticeable. For instance, PIN sensor corporation has created their own IoT parking sensor which has up to 10 years of battery life and only takes 5 minutes to install with no wiring or civil works. This saves a lot of money for companies as there is no need to installed cameras or optical sensors, hire personnel to watch cameras and to keep up with maintenance. Moreover, it even saves energy as the magnetometer is interrupt-based, which means that it only wakes up from sleep mode whenever there is a change in the magnetic field. So the device isn’t active 24/7. This type of data can be communicated in different ways. LoRa is best to use when many devices can connect to your setup gateway and then transfer all the information to the data platform. But if there are a lot of restrictions in your parking that do not let LoRa signals go through, you can install Nb IoT devices that forward the data over the cellular network and then to your integrated data platform. The LoRa method has an advantage other other methods as there is no per device subscription fee like there is with cellular networks. SODAQ produces both LoRa and Nb IoT or LTE M boards which can be used for this type of project. The potentiometer spring is a transducer used to detect and measure linear position and velocity using a flexible cable and spring loaded spool. It is used to measure a position of a moving object. The measurement cable can be connected directly to the moving part, constantly giving a linear position of the measurement. In this case, the potentiometer spring was used for truck movement, usually the device is placed between the springs and back tyres which makes it possible to determine the height difference. BUT HOW DOES IT DETECT THE HEIGHT DIFFERENCE? This is because the more weight the truck carries, the lower it presses down, hence a high level of compression in the springs would directly imply that the truck is carrying a load. A GPS and mode of communication are put in the area to measure the compression using standard sensors and it sends this information to a remote location (the higher the compression, the higher the force). SODAQ boards are not directly incorporated with this type of potentiometer, but it can be connected through a grove module and configured to the board as a sensor. AND HOW DOES THIS HELP TRUCK OWNERS? 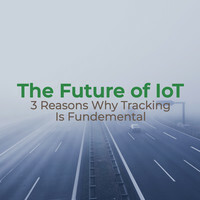 This IoT technology is important to truck owners because it helps them detect if their drivers are carrying unauthorized goods within their trucks. For example, most drivers after delivering their undersigned consignment, they fill up the trucks with goods of their own and deliver it to their desired destination. There are different implications associated with such activities. From a legal perspective, if the truck driver is carrying contraband goods on their return journey and the truck is checked, the responsibility falls onto the truck owner. Moreover, the driver’s use of the company resources for personal activities results in high overheads which lower the productivity of the company and increases its costs. Thus, this solutions is important for truck owners and transportation companies that need to constantly check the movement within their supply chain. Another way to check would be to manually measure for the fuel use and if the tires were affected more than usual. But this cannot be done immediately as there is no proof to go back to the suspicions. Hence, it is far more efficient to use the IoT boards for tracking the supply chain. 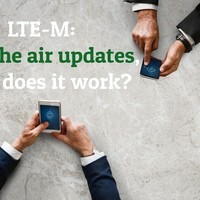 Only NB IoT or LTE M boards can be used in this case as there needs to be a constant connection. These types of boards connect to the cellular network which lets you to transmit data at all times, whilst with LoRa boards you would need to connect it via gateways whilst the truck is moving (which is currently not possible). Moreover, a GPS module is important to track the route and location of the truck (which is directly installed on the NB IoT SODAQ boards). Well, we’re glad that IoT innovation is fixing all of these supply chain issues. Mesh networks are when devices are connected to each other instead of being connected to one central device (with 2G/3G/4G to broadcast the message). With these networks, only a single node needs to be connected to a network connection to transmit the data, whilst all the other devices can be connected to each other. Mesh networks were used to monitor equipment and assets in an airport. Some of the areas that heavily rely on the mesh networks include controlling of temporary lights and trolleys that move loads around the airport. Undagrid is one of the companies that has made great strides in suing IOT devices to monitor and control equipment in easy airports. As explained before, one of the devices is connected wirelessly or with a direct connection. Whilst the rest of the devices are connected to each other such that they are able to receive, store and forward the information they get from the neighbouring devices until they reach the end nodes. The end nodes then connect to the Internet and communicates the relied information attaching IDs of which device they got the information as well as the time. All these devices are wired using batteries and so their energy consumption is required to be very low. Airports greatly benefit from the use of these IoT devices because it cuts down on the number of staff dedicated to manually keeping track of all the items as well as equipment. Therefore, a lot of time and resources are saved since all these manual labours is replaced by a single interface that is self-automated. Smart buildings use exactly the same technology as mentioned above. One of the companies that is actively using this technology to advance the growth of smart buildings is Chess Wise. It is equally setting the pace in the use IOT devices to make smart lights instead of LED lights. Their concept is unique such that it gives consumers an option of using smart lights as opposed to just replacing the traditional lighting system with the LED system. This concept uses the radio communication, which is the most common for mesh networks often using XBee and ZigBee protocols for radio communication. Through these protocols, the lights communicate to each other on whether they are on or off and for how long. The protocols enable the sending and receiving of messages whenever the lights are turned on or off, and indicate the brightness of the lights. HOW DOES THIS HELP BUILDING OWNERS? Usually in buildings you can only turn on and off the lights in control rooms, but then if a person wants to switch on a light for themselves it wouldn’t work anymore. But with the IoT mesh networks the lights there are timers that the lights can switch themselves off if there is nothing there. Or by using a smartphone application during a certain hour the building owners or controllers can have a remote for all the lights. This saves money for the office building as they do not need to keep the lights on all at once and the light bulbs do so themselves. Usually the boards and sensors are embedded in the bulbs which makes this possible.